VW's I.D. Vizzion concept showcased ideas for an autonomous flagship sedan. It can drive autonomously and has no steering wheel. FRANKFURT -- Volkswagen Group wants to ally with other automakers to create an industry standard for self-driving technology. Such a move would give companies better legal protection following accidents involving autonomous cars, VW believes. VW has entered discussions with potential partners for an industrywide alliance, a company executive said, speaking on condition of anonymity since the plans were not public. The talks are about cost sharing, risk sharing and other liability issues, said the executive, who has direct knowledge of the issue. "When you are involved in an accident, you have a better chance in court when you can prove that your car adheres to the latest technical standard," the person said. "How do you create an industry standard? Ideally by getting others to use the same sensor kit and software, so for that reason an overarching cooperation between automakers is one of the options we are examining," said the executive, declining to provide names of the companies involved in the discussions. "The question is: How do we bring products to market that guarantee we made ourselves as small a target for damage claims as possible?" The race to bring fully autonomous or nearly fully autonomous cars on the roads will create many regulatory and liability hurdles. "Law firms are already in the starting blocks," the executive said. Volkswagen is in discussions with more than 15 different companies, including automakers, about an alliance. Asked if the alliance could be similar to German automakers' Here alliance for high-resolution digital maps or the Ionity consortium for high-speed recharging stations for electric vehicles, the source said autonomous vehicles are "another level of complexity entirely." Unlike Here and Ionity, which operate noncore businesses, self-driving-systems are considered the heart of future vehicle intelligence and getting rival engineers to work together would be more complicated. A key criterion when considering partners is whether all can agree that the technology would be open source, meaning there was no restriction on its use by participants. This would also help with ensuring tests were comparable, so validation data from one party would be applicable to all. Some companies have approached Volkswagen offering to license it a drop-in solution, but this is considered out of the question. VW believes it must gain expertise in all elements of the artificial intelligence down to a self-driving vehicle's path planning. Simply integrating a supplier's "black box" into the vehicle without access to the technology behind it would not be acceptable. Concerns about the damage claims and lawsuits resulting from autonomous vehicles were heightened following an accident earlier this year, in which a self-driving Volvo XC90 being tested by Uber struck and killed a pedestrian crossing the street in Tempe, Arizona. The car failed to identify the pedestrian or to brake, the U.S. National Transportation Safety Board said. 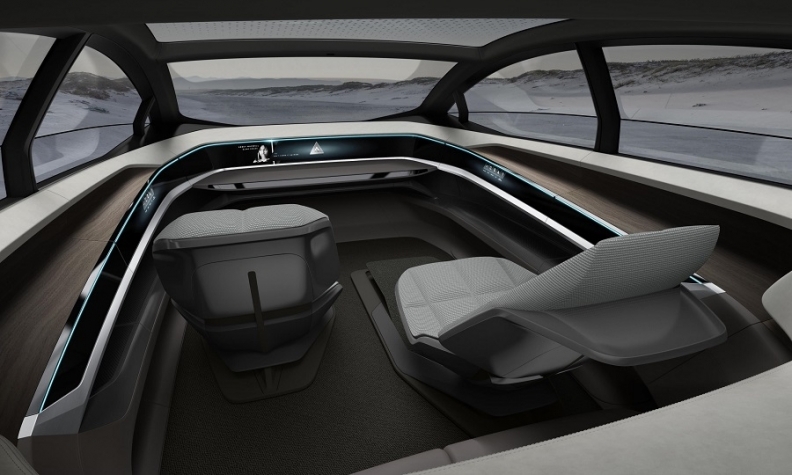 Audi's Aicon is designed to transport passengers autonomously in comfort across long distances. Options for an alliance could be presented to the VW Group management board as early as next month. "I don't believe we are the only ones asking ourselves if we really want to take these kinds of risks," the executive said. "No one wants a repeat of the Uber accident." 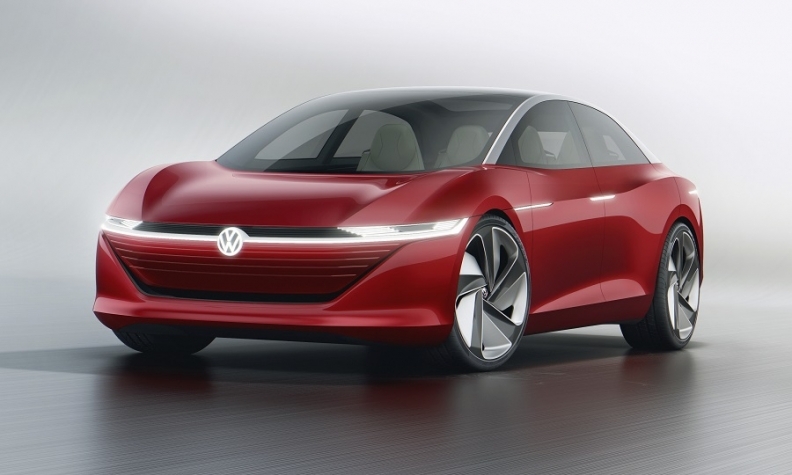 The VW brand showcased its ideas for an autonomous flagship car with the I.D. Vizzion concept at the Geneva auto show in March. VW Group's Audi unit unveiled the Aicon concept at the Frankfurt auto show last year to showcase its Level 5 self-driving technology.